This is pretty interesting project. I like the protected prop to facilitate learning. I did not get chance to video, I’ll hopefully try this weekend. It flew great, actually too good. Tame as a trainer. I need to play with prop thrust and CG to get more high alpha flight. My buddy watched and wants me to build him one as is as it flew beautifully as a plane. I think it would work for combat but it would be hard to beat the Mini Scout as a combat plane. I think me and the guys fly more with the Mini Scout flying Combat than all of the other planes combined (and we have a LOT). I’ll update once I get a chance to play around with it. Thanks for a great design to play with! Just built one... As part of build-ruary. 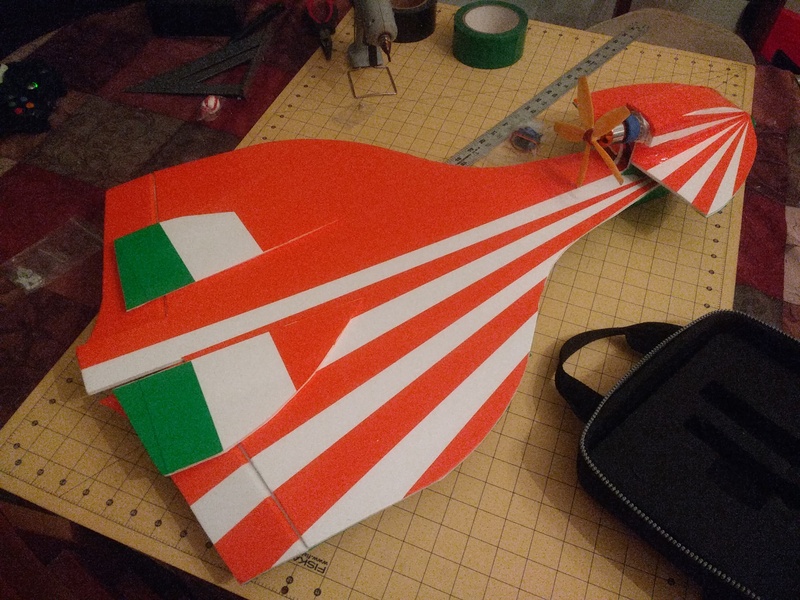 I can't wait for my chance to fly it. Still have a couple of attachments. Cool! Make sure to post video! Good luck with your maiden! Will do. The follow up is a 64mm scale Lippisch.13a. Cool! I want to do a 30mm EDF powerpod in the near future, so maybe I'll revisit this and make proper plans. It just didn't have enough thrust... I have to redo it lighter i suppose. 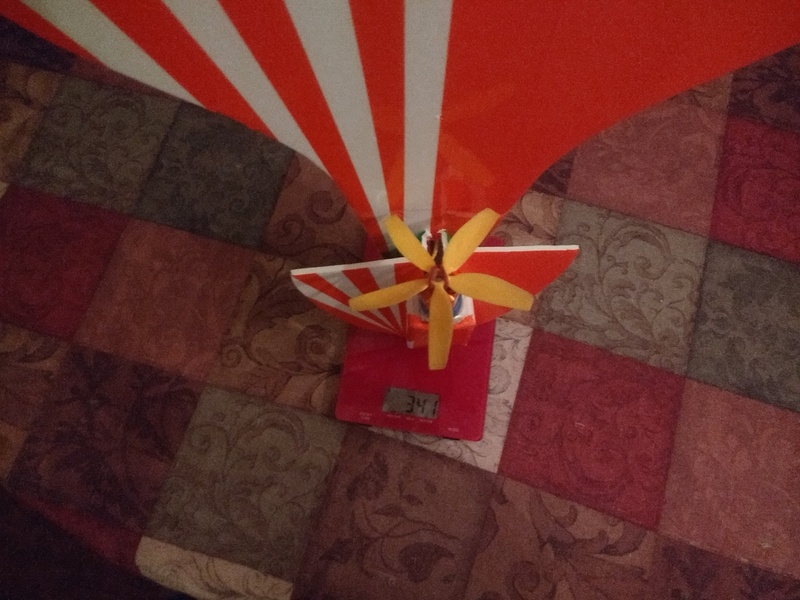 @FoamyDM what motor/ prop/ battery are you using? oh, a 5-bladed prop. 050305? @FoamyDM Your motor seems OK, but 1500ma/h is wayy too large. Im using 600 to 850ma/h. I wonder where you place your battery, even my small one must go very far in the back. Maybe try a different prop, but Im no expert for prop sizes. My setup is Graupner Ultra 2806 with Gemfan 5045 3 blade props and 3s 600mah LiPo. I think your main problem is the large battery. And did you maiden it already or did you try it on the bench? @Yawnsky24 @FoamyDM how is it going? Did you maiden it? @Dr. Looping Looie, weather here has been terrible. Rain every single weekend. Yesterday we had sun but winds gusting to 35+. One of these days we will have a weekend to get out and fly and I'll get you some video and feedback. FInger's crossed next weekend will bring a break. Cool Design. At least in Columbus, Ohio forecast this weekend is winds under 10, temp in the 30s and sunny. At least thats the forecast. Ive made another video! It shows that it can fly in super small areas, and there are also some crashes! @Dr. Looping Looie, I flew the Kolibri yesterday and it flies great. I do not get quite the slow flight performance that you show in your videos but that is likely a combination of build weight, CG and pilot skills (or lack thereof!). I will continue to experiment with the CG and will probably build another with a focus on reducing weight. The neat thing about it is when flown as a normal plane, it excels with no bad tendencies. I even used it to buddy box a friend that is learning to fly. I did get some GoPro video and will post it as soon as my friend edits it to cut the waste footage. Maybe try more throw on your elevator, that should make it pitch up more. Today, ive flown this INDOORS in the local gym, which is a pretty small area! Heres a video. But that is some insane performance for a 300gramm F-pack plane! @Dr. Looping Looie thanks for the feedback. I have the Elevons pretty much maxed out and can get it to High alpha just not the same "floatiness" that yours has. I will continue to experiment and let you know how I make out with it. Thanks for all of the great information! BTW, we love the Dornier Libelle. I have modded both to include ailerons now and will let you know how they do when we fly next.